Vitbot bottles are ideal for all types of drinks: juices, milks, vegetable juices or baby food. Likewise, Vitbot bottles are the optimal solution for packaging cosmetics and essential oils. Finally, Vitbot bottles are the ideal way to store wine, cava or craft beer, Kombucha, kefir, etc. because the maturation and fermentation of these drinks continues within the bottle. The commercial Vitbot bottles are designed to change the dynamics of food and beverage packaging. Currently, most of the containers found in stores are designed according to aesthetics, price or easy storage. 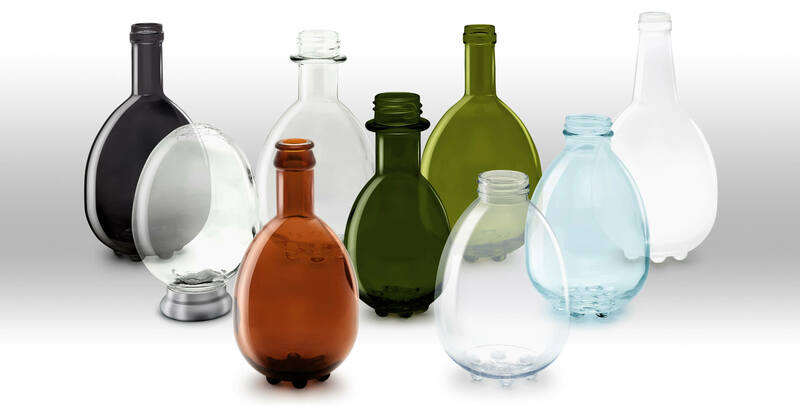 Vitbot incorporates an innovative concept in its bottles: the ovoid shape. This egg shape allows liquids to turn in a vortex within the bottles. Thanks to this movement, a uniform solution of the electrolytes, minerals, etc. contained within the bottle is achieved, preserving the qualities that they had when bottled and allowing the human body to absorb them in a much more efficient manner. Vitbot bottles can come in many sizes, designs and finishes, depending on the product you’d like to package. The only requirement is keeping the bottle in an ovoid shape with the golden ratio. Each beverage manufacturer has two options: Buy bottles directly from Vitbot, or produce their own customized Vitbot bottles, under license from Vitbot, at their usual bottle supplier, paying only a small royalty. Please contact us if you have any questions or want to receive sample bottles for testing.